I headed to Lincoln Center this weekend for some street gawking and trend watching as thousands of fashions 'who's whos' sashayed up and down the Lincoln Center runway. So which bloggers caught my eye? These sisters from California! The Song sisters are infamous in the fashion-blogging world and have been staples on the fashion scene this week in NY. Aimee Song headlines the blog Song of Style which was started in 2008 while she was studying Interior Architecture in San Francisco. 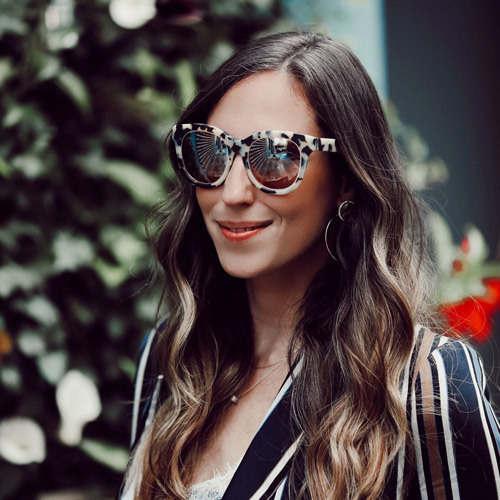 What started as a blog dedicated to interior design quickly turned into a photo diary of Aimee's ballsy and bright outfits- perfectly suited to her. Dani Song is a graduate of Vidal Sassoon working as a hair stylist in Los Angeles. Inspired by her sister, Dani started using Instagram as a platform to post fashion related pictures, street wear and her daily outfits and then branched out and created the blog Song Dani to showcase her style! Are you digging the full skirt and stilettos on Aimee or do you have more punk style in you? Which look do you like better?